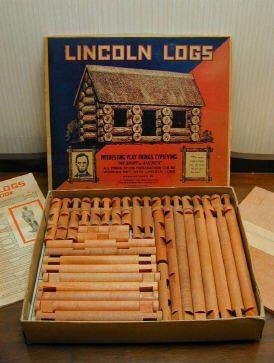 John Wright, the son of the famous architect Frank Lloyd Wright, invented Lincoln Logs in 1916. During a trip to Tokyo with his father, John was inspired by the architecture of the Imperial Hotel, designed by Frank Lloyd Wright. The foundation of the hotel was designed with interlocking beams, which made the structure earthquake resistant.